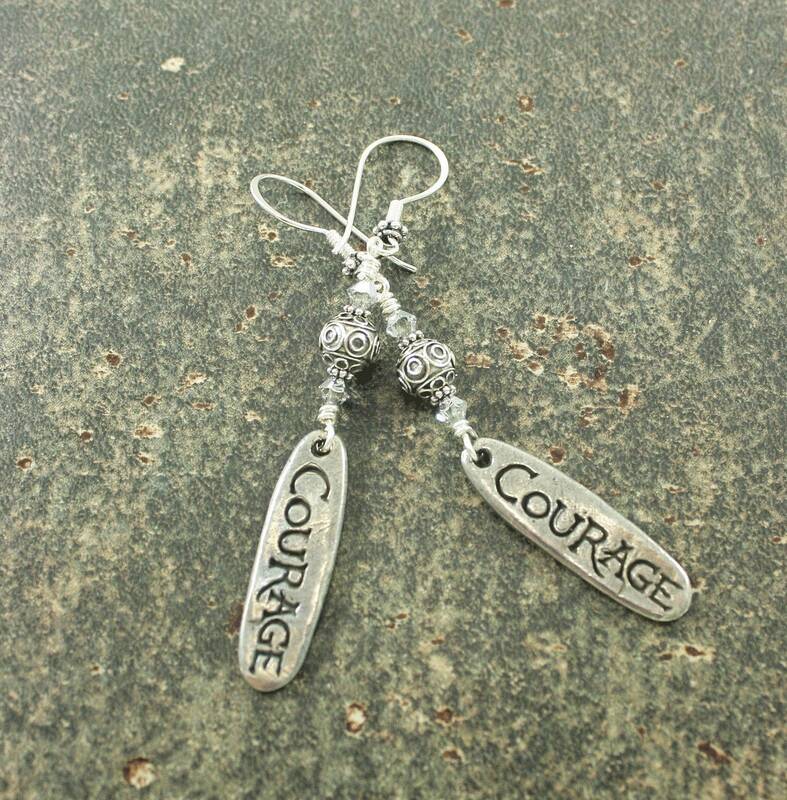 These pretty earrings feature artisan pewter courage charms with arrows inscribed on the backs. The charms hang from sterling silver dangles accented with sparkling silver Swarovski crystals. The ear wires are sterling silver. The earrings, including the ear wires, are 3 1/4 inches long. Adore it, can’t wait to order in more colors! !